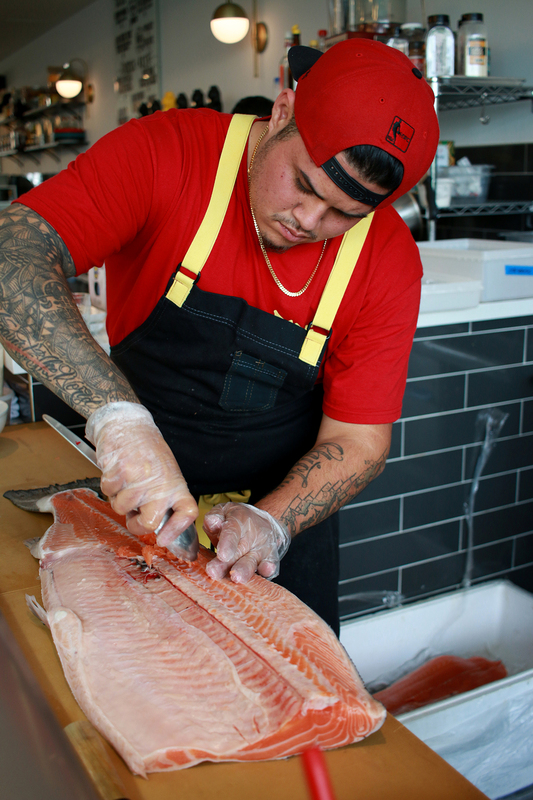 At one of Miami’s new food halls, Nando Chang cuts a 20-pound salmon right before ending his shift at his family’s business, a Peruvian inspired sushi restaurant. But Chang’s job is not over after he leaves Itamae. When he’s not cooking ceviche or sushi rolls, Chang is working on what he loves the most: music. 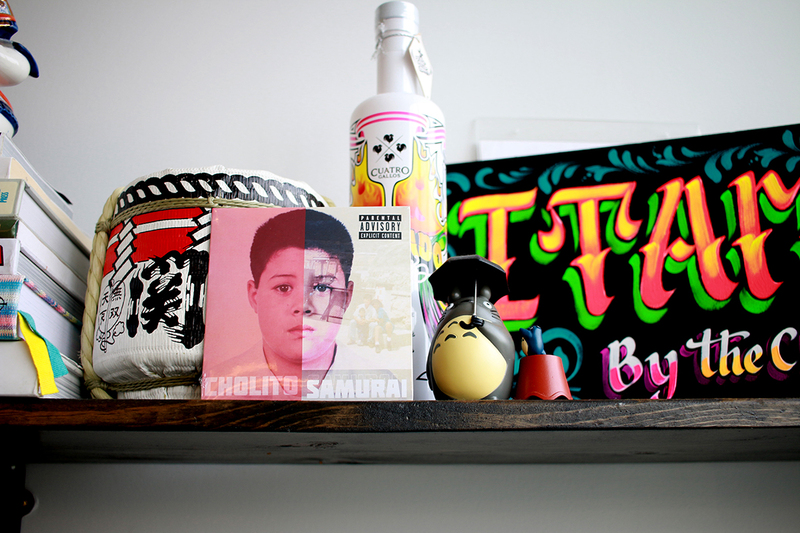 The 29-year-old Peruvian-Chinese released his first hip-hop album called Cholito Samurai last month. Chang mixes folkloric Latino beats as he raps in Spanish to tell his journey from Chiclayo, a small coastal northern city in Perú, to Miami, Florida. Cholito is what his dad used to call him when he was younger. It’s also a word used by many Peruvians to refer to young men. And Samurai represents his knife-skills in the kitchen. Like many recent immigrants, adjusting to American culture was difficult for him especially since he is mixed. His father is Chinese-Peruvian, and his mother isindigenous Peruvian, and he always felt proud of his roots and country. Race, nationality and language became new ideologies that marked Chang and his little sister, Valerie Chang, from the beginning. Food and music helped Nando understand the American lifestyle, which he is proud to be part of today. Thanks to his Mexican friends from high school, Nando fell in love with hip-hop through artists like Tupac, Control Machete, and Molotov. Seeing musicians rapping in Spanish in the U.S. also helped him accept his immigrant identity as a person and artist. 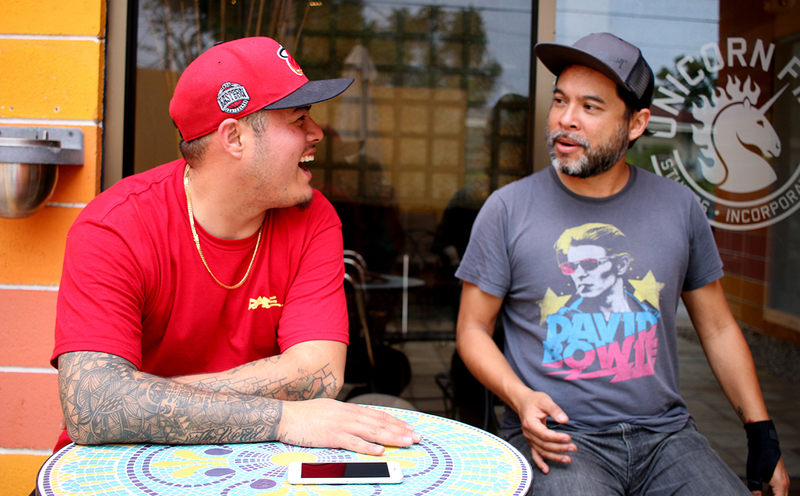 The Chang siblings play with this interaction of cultural identities in their dishes and Nando’s music by keeping it “authentic Peruvian” with maintaining specific ceviche standards or beats of certain songs that feature a cajón or folkloric rhythms. When his family moved to the U.S. 17 years ago, his father worked at a sushi restaurant bussing tables and learning how to cook. He moved his way up until he became a chef and opened the family business that mixes their culture in every dish and roll. Seeing his father reinvent himself in this new country showed Chang what the “American Dream looks like in real life.” That family struggle and adaptation is molded him to who he is today. This is why he uses food, just like his songs, as a way of self-expression. In the kitchen he works with his father and sister, and in the music studio with his uncle Marthin Chan, from Afonico Music, who co-produced the album. 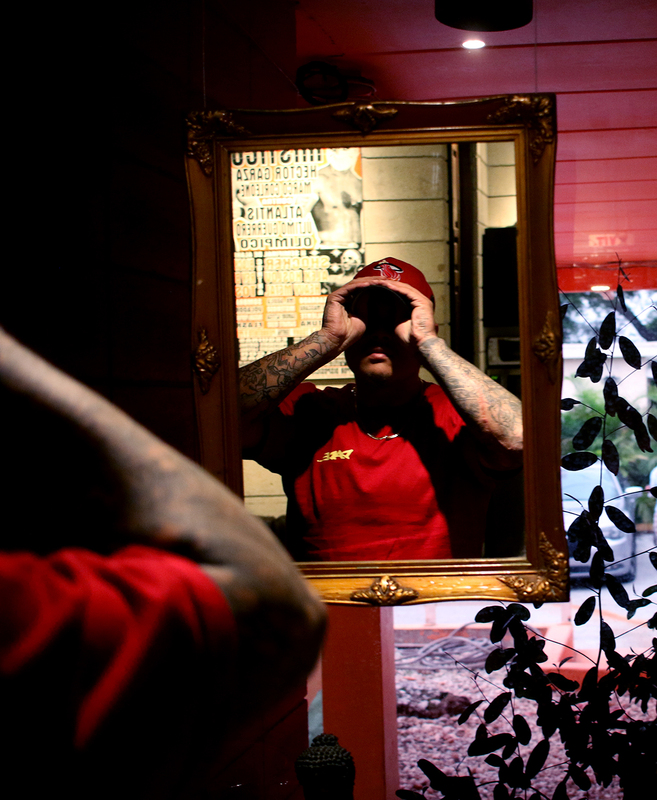 “He believes in the business I do, and I in his,” says Chan about Nando’s culinary and entrepreneur chops. Nando’s ceviche is just as important and good as his songs according to Chan. Besides the live instruments in the songs, Nando Chang raps in Spanish about colonialism, racism and the fast life in the states. His sister loves the lyrics and keeps finding new things every time she listens to the album. Sometimes while they work together at Itamae, she’ll ask him what a specific rhyme means. For the rest of the year, Chang will be performing and promoting Cholito Samurai in the U.S. and Latin America. 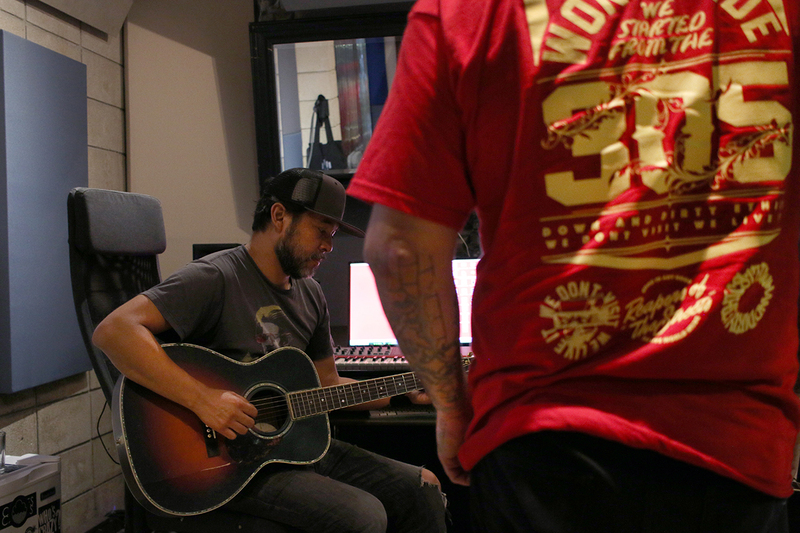 Between cutting fish and prepping sushi and ceviche, he’ll also be working on a second album with a more personal and current message about who Nando is today. 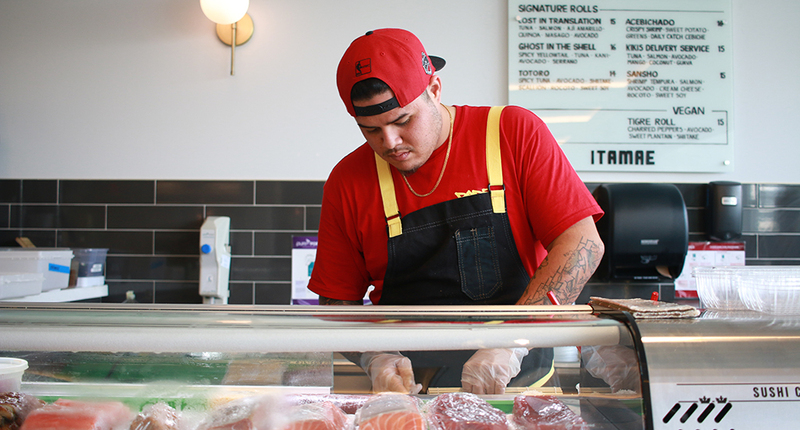 Yet one thing is clear: he’ll keep true to his cultural fusion as a proud Peruvian-Chinese in Miami cooking Japanese and Peruvian dishes while rapping in two languages. For people in Miami, Papá Chang is offering a free meal at Itamae if you show Nando Chang’s full album downloaded on your phone.